Want to learn how to faux paint? 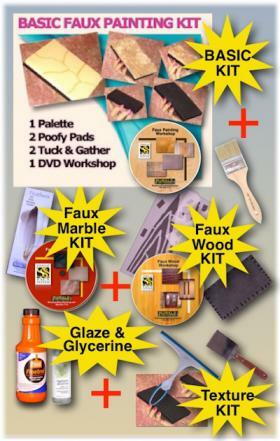 We have a variety of faux finishing kits to choose from as well as faux painting glazes and supplies. 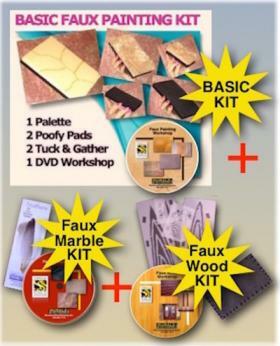 ALL OF OUR COMBO KITS INCLUDE our patented (7472450) Triple S Faux System BASIC KIT - DVD, Palette, 2 Poofy Pads, 2 Tuck and Gather tools. Learn how to add an Old World finish, Color Wash, Brick, Faux Stone and Clouds to your walls or ceilings. You will also receive a FREE Color Suggestions E-Book and other guides, too. Orders received before 5 p.m. EST will be shipped within 2 BUSINESS DAYS. EXPRESS - will be delivered 1-2 days from the day it is shipped. PRIORITY - 2 or 3 days from the day it is shipped. FIRST CLASS - 2 to 4 days from the day it is shipped. Includes FREE Priority Shipping, FREE Faux Painting Color E-Book, E-Business Booklet, Faux Wood Color E-file plus Faux Painting Marble Guides. 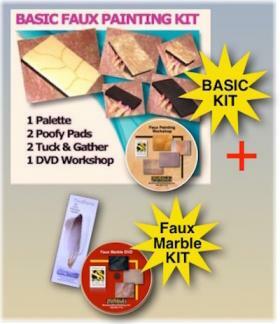 Basic and Marble plus paint and glaze faux painting combo - Includes FREE Priority Shipping, FREE Faux Painting Color E-Book and *E-Business Booklet plus Faux Painting Marble Guides for shapes and veins! SKU ultra20Reg. Price $112.50 $99.99 On Sale! Includes FREE Faux Painting Color *E-Book, *E-Business Booklet, Faux Wood Color E-file plus Faux Painting Marble Guides for shapes and veins! 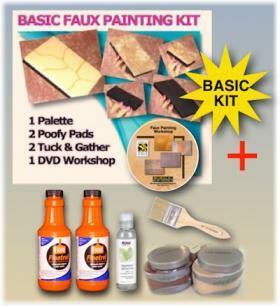 Basic Faux Painting DVD kit and supplies PLUS Zero VOC Paint with Glaze to achieve Old World Parchment faux finish - Includes FREE Priority Shipping and FREE Faux Painting Color E-Book! 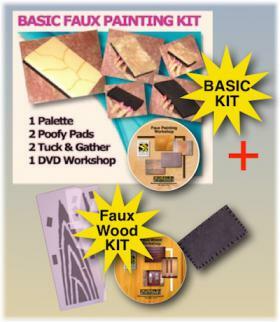 Basic faux painting kit plus Faux Wood kit. Includes FREE Faux Painting Color Suggestions *E-Book, *E-Business Booklet plus Faux Wood Color E-file! 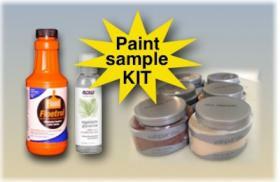 Now.....includes hand painted color swatches for matching with any paint brand. Reg. Price $82.50 $78.99 On Sale! 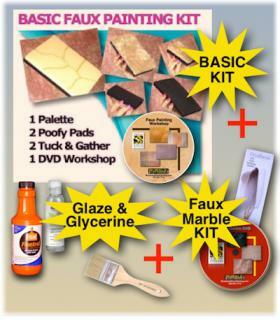 Basic Faux Painting Kit PLUS Faux Marble DVD and a set of 3 feathers for veining. That's 2 DVDS plus all 6 tools! 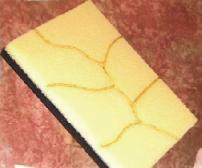 Includes FREE Faux Painting Idea *E-Book and *E-Business Booklet plus Faux Painting Marble Guides for shapes and veins! 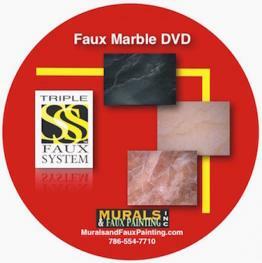 Faux Wood DVD, 4 stencils and 8 sided notched wood graining pad. Includes FREE Faux Wood Color E-file! NOTE-This is an ADDITION to DVD Faux Painting Kit. 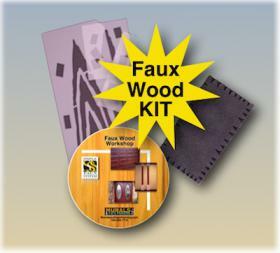 You will need tools from the Basic Kit to achieve wood finishes. Basic Faux Painting Kit PLUS a chip brush. Includes FREE Faux Painting Idea *E-Book and *E-Business Booklet! 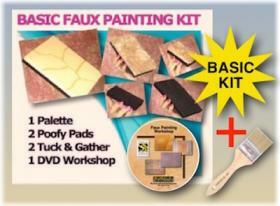 Basic Faux Painting Kit - Patented #7472450 Triple S Faux System. Includes FREE Faux Painting Idea *E-Book and *E-Business Booklet! 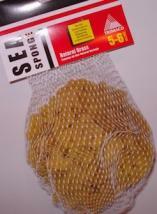 SKU kit5Reg. Price $49.99 $39.99 On Sale! This is an ADDITION to DVD Faux Painting Kit. 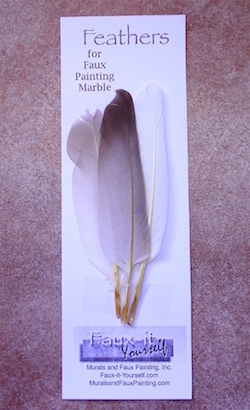 Order a set of feathers which you will need to add veins to your faux marble. *NOTE- DOES NOT INCLUDE TOOLS. 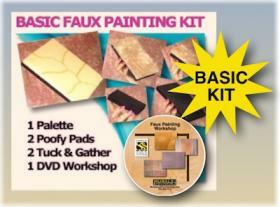 You will need the same tools in the kit to achieve the faux finishes on this DVD. 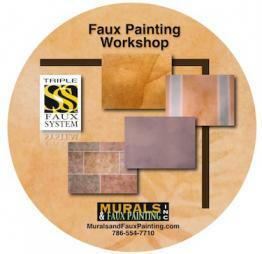 Full faux painting workshop - FREE Color Suggestion E-book. NOTE* - Does not include any tools. 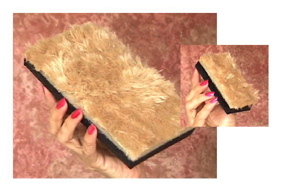 You will need the Multi Color Faux Palette, Poofy Pads, Sponge pads and Tuck and Gather tool to achieve the faux painting techniques that you will learn. Includes a set of Tuck and Gather tool. 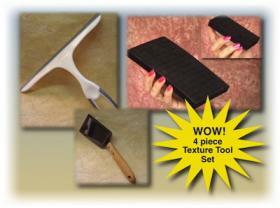 *NOTE-This is an addition to our Basic Kit and tools are only for adding texture and not Color Wash on top. Click on thumbnail to view link for instructions on how to use. Floetrol paint additive in a quart size that can be used as a faux painting glaze. 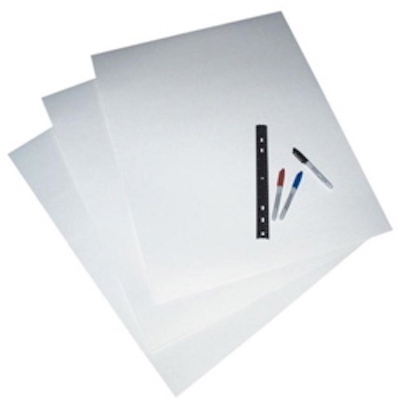 Set of 25 poster boards - unpainted. 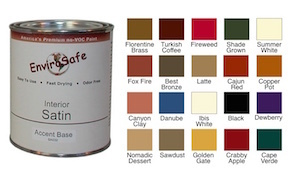 Size: 22" X 28"
ZERO VOC Acrylic Interior Satin Paint - 32 oz. Add item to cart FIRST, then CHOOSE COLOR from shopping cart. Reg. Price $24.99 $21.99 On Sale! 2 jars of glycerine - That's 16 ounces each. Only 84 cents an ounce. 10 lb. of Glycerine. That's 160 ounces! Only 27 cents an ounce. *E-Book (8 pages) that explains the different types of paint such as latex, acyrlic, enamel, etc. A .pdf file will be emailed to you upon receipt of your order that you can print out. *E-Book with 15 lessons of tips to decorate your home. A .pdf file will be emailed to you upon receipt of your order that you can print out. NOTE* This is a replacement tool that is part of the DVD Faux Painting Kit and does not include instructions. In order to get the full benefit of the faux system, we recommend that you only buy this as an addition to the kit and not alone. NOTE* THIS IS A REPLACEMENT TOOL AND ONLY AVAILABLE IF YOU HAVE ORDERED IN THE PAST. If our records show you have never ordered, we will void your order or refund you for $8.99, whichever comes first. Since our inventory is gone, we have to break up a $40 kit to fulfill this order. We are sorry for this inconvenience.